Is eating a triple scoop on your Summer 2018 list? I fantasize that we will enjoy the long days and lazy soccer-free weekends. I sometimes wonder how we are going to fill all that free time… Screech….and then I look up again and it’s Labor Day and the summer is over. Wah! So, two summers ago I created my first summer bucket list and I’ve made it an annual tradition! Want to join us? Pete and I have each made a list of things to try to do this summer JUST FOR FUN. No pressure to choose things that are educational or healthy, the criteria are simple: does it sound FUN? Do I want to do this? Does thinking about it make me smile? We invite you to join us in this fun exercise!!! This is a device that helps enforce your home’s internet rules and restrictions so you don’t have to constantly be the iPad/Netflix/YouTube police. 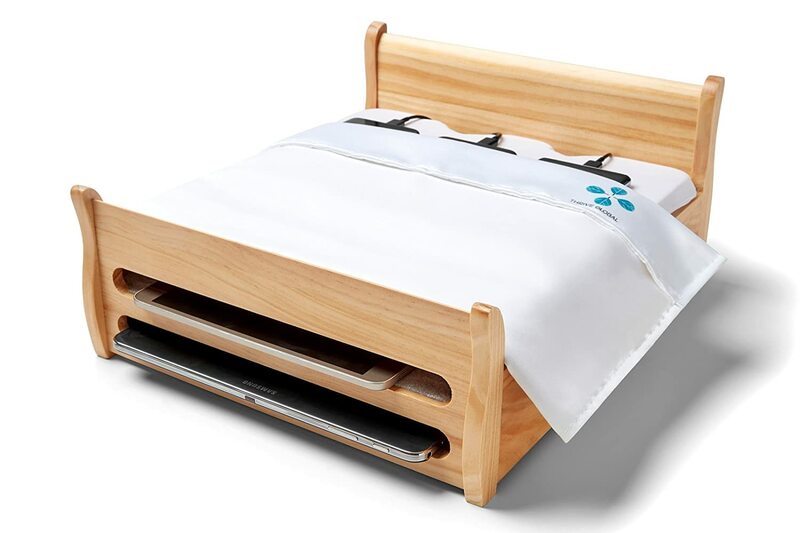 Arianna Huffington’s Phone Bed Charging Station, brought to you by Thrive Global, makes putting your smartphone to bed a regular part of your nightly ritual. By giving your phones and tablets their own bed – outside your bedroom – you can say goodnight to your day and get the sleep you need to wake up fully recharged. or a $100 Amazon gift card. We will also send Jugl swag to the 3 entrants with the most creative/interesting item on their list! Visit Six Flags Great America WITHOUT the kids!!! We wish you a fun and memorable summer and we can’t wait to be inspired by your fun plans! Note: the links in this post are affiliate links, but we chose the products as they seem like fun and/or useful prizes for our audience! None of the manufacturers above nor Facebook, Twitter or Amazon.com are affiliated with this promotion in any way. Rule of this contest may be found at: https://www.getjugl.com/summer-bucket-list-contest-rules/.